I bought a Prophet-5 where the black caps were painted black… it looked absolutely awful. Searching the web for replacement knobs (like I’m sure many of you Prophet owners have) only turned up extremely expensive old stuff, which usually was “out of stock” anyway. I did get hold of some original replacement knobs, but these were pretty scratchy and worn too. I decided to fix this! I had a company re-manufacture the aluminum cap to the exact original dimensions. (I also looked into making the plastic knob part, but then I realized most people already have these and they usually look ok). Now, only the more high end SCI gear (Prophet-5, Prophet-10 etc) had the fancy knobs with aluminum caps. The more low end stuff (Pro-One, Prophet-600, Split-Eight etc) only had the plastic part of the knob, with a simple painted white indicator line. The best part is that now you can pimp these models too! Many vintage (80s) Sequential Circuits gear used the same plastic knobs, with this cap being the only difference. The T8 and some other machines used different wider and shorter knobs, and unfortunately my caps will not fit those. 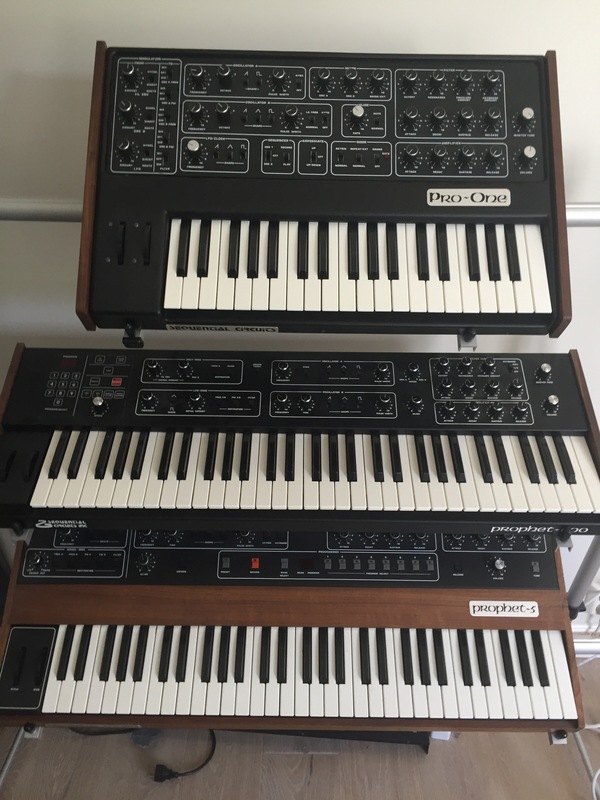 The pic below shows two old Prophet-5 knobs, one with a silver cap, the other with a removed black cap. Next to those a Pro-One knob. And in the bottom right corner: old knobs given a second life with my new caps! Oberheim OB-1 – Knobs smashed (and fixed)!